Last week I published one of the coolest posts I have ever worked on, an identity reveal! I had done a lot of different posts before, but never an identity reveal, so I was thrilled when J. Dawn King allowed me to reveal that Christie Capps was in fact her pen name! We posted an interview where Joy explained why she chose to publish under her pen name and what type of books readers could expect from Christie Capps. Congratulations everyone! As I don’t have the e-mails of all winners, please send me your e-mail to ritaluzdeodato at gmail dot com so that we can send you your gifts. Please confirm your email within seven (7) days. If we do not hear from you we will have to draw another winner for your prize. Again, thank you for your comments and support to J. Dawn King! If you were not the lucky winner, you can find her books at Amazon.com. And don’t Forget Christie Capps books are found under the pen name’s Amazon page. Precisely a month ago I published a post called “All Roads Lead to…” where Joana Starnes announced that she would soon share some news with you. We asked you to try to guess what could be under her sleeve, and many of you have guessed it! Joana Starnes has now released one of her books in audio format, and there is another one coming up really soon! Thank you, Rita, for welcoming me here today to start the blog tour for the launch of my first audio-book, and extra-special thanks for all your help in making it happen! To me, this is a lovely story of JAFF friendships and I’d love to share it with your readers. It all started a few months ago, when Rita asked me if I’d ever thought about releasing my books in Audio. My answer was that yes, over the last couple of years I had thought about it repeatedly, but never quite got round to do anything about it. There was always something else, some urgent deadline or some chatty and helpful muse putting her hand up to call for my undivided time and attention 🙂 . Somehow, Rita’s question came at the best moment, when I was thinking it really was the time to do something about it. A long string of messages followed and she generously shared lots of tips on audio-books, for which I can’t thank her enough! I also can’t thank her enough for introducing me to the delightful world of Stevie Zimmerman’s narrations and for suggesting that I get in touch with Nicole Clarkston, whose books Stevie has narrated, and who might be able to advise me further. At that time I hadn’t messaged much with Nicole. We ‘met’ on Rita’s blog and on Facebook now and then, but the main thing I knew was that I loved her books and that I couldn’t have enough of her Mr Darcy and her Mr Thornton. When I did get in touch I discovered that Rita was absolutely right! Nicole was wonderful beyond words and she generously shared her experience and advice. So did Elizabeth Adams, just as generously and warmly. Those amazing ladies kindly guided me through the intricacies of releasing audio-books, and Nicole had the highest praise for Stevie Zimmerman, who had produced three of her novels in Audio. I could easily understand why. When Rita first mentioned Stevie, whom she had interviewed a while ago, I looked for books narrated by her, listened to some audio samples – and fell in love. Stevie’s Elizabeth and Mr Darcy sounded just like the voices in my head! To say that her Mr Darcy is 100% swoon-worthy is a serious understatement. He’s in turns dreamy and softly-spoken – or his icy disdain cuts like a knife when some poor fool (like Mr Collins) managed to anger him. Elizabeth’s voice rings and shimmers like a bell and dear oh dear, you’ve got to hear Stevie’s Mrs Bennet and her Lady Catherine! Every character comes alive and speaks to you, enticing you further into the story. Needless to say I was over the moon when Stevie agreed to produce some of my books. Working with her has been an absolute delight from start to finish, and it was such a joy to listen to my books read out by her as we were going through the approval process. If you follow the links you’ll see why. You can listen to ‘The Falmouth Connection’ – FREE with a 30-day Audible trial, or you can leave a comment for a chance to win one of the five audio codes included in the giveaway. ‘Mr Bennet’s Dutiful Daughter’ will also be available as an audio-book very soon, and some of my other books will eventually follow. But I can’t help urging you to give audio-books a try. I used to think I’d rather devour a book at my own pace and flick real quick through those real or virtual pages, but a couple of long car-journeys changed all that. When you’re sorry you’ve reached your destination because the story isn’t over yet you’ll know that audio-books have totally become your cup of tea. Let Stevie Zimmerman keep you company on the journey and I think you’d be willing to drive for 12 hrs+, with the odd stop for snooze, snack or coffee. Or just close your eyes and journey with her to Cornwall from the comfort of your own living-room. All the best, thanks for stopping by to read the post and thanks again Rita, Nicole, Elizabeth and Stevie for all your wonderful help! To enter this giveaway please comment this post and let us know if you would prefer the audiobook or ebook. The giveaway is international and is open until the 5th of June. Today I am pleased to receive as my guest Sara Marks who is about to release a Persuasion modernisation novel called Modern Persuasion. Persuasion is my second favourite novel from Jane Austen, so I was thrilled to know that a new book was going to be released, thank you Sara!!! Many people ask me why Persuasion is my second favourite and I always say that it is partly because of Captain Wentworth. He is no Darcy, but he is a strong, interesting character. But it’s not because of the male character that Persuasion could not come first in my affection, it is because of the heroine. While Elizabeth Bennet is the perfect heroine, Anne is a quiet character, too quiet to instigate the same type of admiration I have for Elizabeth. But is she a weak person? I asked that to Sara, and that is how we came up with the idea of this guest post. Sara will use the Meyers Briggs personality model to describe you Anne, and explain to you why she does not believe her to be a weak person 🙂 I hope you enjoy this! When we meet Anne Elliot, we find her in the middle of her own story. She has already had love and given it up. She has already been proposed to twice and rejected both. She has, in the words of her father, lost her bloom. She is quiet, observant, thoughtful, and a little broken by the world she lives in. One thing I would never call her is weak. Weak suggests she has given up and doesn’t care. Weak suggests she wallows without processing what upsets her. Anne Elliot is not weak, she is an introvert. She gains her strength from recharging alone. I have an obsession with the Meyers-Briggs personality profiles. Not as a way to excuse my choices or to help me make decisions, but as a way to deeper understand why I do the things I do. I do the same for my characters. Anne Elliot, specifically, is an ISFJ. What does this mean? This means she is an introvert. The ’s’ means she is sensing information based on what she observes. Consider her impressions of Captain Wentworth’s feelings toward her. She bases that on what she can see and observe from him. She is most confused when his actions imply something different from everything else she has observed. The ‘f’ means she is feeling in her decision making. She considers other people’s motives when making decisions. She feels like Captain Wentworth’s feelings have changed in Bath and becomes more aggressive herself. She feels, after collecting her sensing evidence, that Mr Elliot is not what he appears to be. The ‘j’ stands for judging and means she likes closure. Consider all of that in light of what we know about Anne’s situation when we join the story. She is the middle child of a vain and snobbish man. Her sisters, in different ways, share his snobbishness. She has no brothers, so her family’s title and wealth will go to a distant cousin who has married another woman and is estranged from the family. Yet, she has not married and nobody seems worried that she isn’t married. She loved a man who, technically, was beneath her in class. She knows the painful and regretful decision to reject him was the right one. She had a second proposal from someone more her equal and she rejected that as well. Nobody seems to judge her as a failure for that decision and her younger sister ultimately marries that man. She doesn’t even seem to be hunting for a husband when we meet her. She is simply living her life. She spends her time with the people she likes as often as with those she has to be with. So, back to the original question: is Anne Elliot weak? No, she is self-reflective, thoughtful, and observant. She accepts new information and shifts as she processes it. She is far stronger than she appears. She doesn’t just give into pressure, but makes the decision she thinks is best (even if wrong or hard). She knows her mind and the people around her. She isn’t reactive and aggressive, but she is just as strong as other Austen heroines. Thank you very much for your analysis Sara! Available for pre-order on Amazon.com. Sara Marks is an author, knitter, Wikipedian, and librarian from Massachusetts. After over 10 years of participating in National Novel Writing Month, she is releasing her first novel, Modern Persuasion, with Illuminated Myth Publishing. When she isn’t writing, she is an academic librarian at University of Massachusetts Lowell. She has a masters degree in library science and another in Communications. highest status members can achieve. She is one of the local organizers for National Novel Writing Month. 1.Sara worked as a clown in college. She would go to birthday parties and local events in Miami to paint faces and make balloon animals. 2.Sara failed out of college before returning home to find a new path in life. It took her 7.5 years to get her B.A. She is a firm believer in being able to fix your mistakes and gettingsecond chances. Potter.In reality, the dog is a Slytherin. 4.Every year, since 2004, Sara has participated in National Novel Writing Month. She haswon every year, except 2005 when she lost by 1,000 words. 5.Sara has been a Wikipedia editor for over 10 years. Sara brought along with her several giveaways for my readers. To enter the first giveaway of na ebook of Modern Persuasion please leave a comment on this blog until June 1, 2017. The winner will be announced shortly after. Everyone who signs up for the mailing list is added to the raffle and also gets a short story related to Modern Persuasion: “Mary and the Anti-Feminist”. The raffle opens on May 22nd and ends on June 5th and is only available for US residents.. The item for NYC has not be selected yet so it will be a surprise element. Please check the Picture for the contents of this giveaway. Today I’m bringing you a guest post by Kate Watson who has recently released the much acclaimed Mansfield Park modernisation, Seeking Mansfield. Several years ago, I was rereading Mansfield Park for the umpteenth time after a debate some of my friends had been having over which Jane Austen novel they least preferred: Northanger Abbey or Mansfield Park. Of course, for me, saying something like “least preferred Jane Austen novel” is akin to saying “least enjoyed luxury vacation” or “least delicious brownie.” In other words, they’re all freaking amazing, and I love them (also, does anyone have a brownie?). That said, Mansfield Park is not my least preferred. Honestly, depending on my mood, sometimes, it’s even my favorite. So. There I was rereading one of my favorite books in the world and thinking about how even huge Jane Austen fans don’t always like it, and I was filled with this desire to justify the book. I wanted to defend Fanny Price, a character whom I love, even if she lacks many characteristics of a typical Austen heroine. I began to take notes as I read. I circled parts that spoke to me and highlighted lines that always make me laugh (or cry). I jotted down idea after idea, and when I was done my reread, I compiled the notes into an outline. Then I closed the book and I set that outline aside, never to be looked at again. I wanted to tell a story that would appeal to Mansfield Park fans, but it had to be fresh, adding something different from both the source material and the (wonderful) existing retellings out there. I wanted the story to feel inevitable, without feeling necessarily predictable. I started by figuring out my characters. The more I considered what Seeking Mansfield could become, the more I was struck by images of a modern Fanny—my Finley. I saw her in a hospital bed. I saw her alone in her room on the top floor of a house. I saw her with literal and figurative scars and I needed to know her story. And by seeing her, I started to see the characters around her: Oliver and his siblings, Mr. and Mrs. Bertram, Aunt Nora, Harlan and Emma Crawford. If an updated version of this beloved classic was going to work, I also had to find ways to update some of the antiquated elements, like cousins in love, the scandal of a home play, the fact that the “worldly” Crawfords come from London, and Edmund Bertram’s controlling influence over Fanny. I considered what potential corollaries could exist in modernizing both the themes and the characters, as well as their worldviews. In doing all of this, Seeking Mansfield began to take shape and to become something more than I originally expected. I learned more about each of the characters, and it was such a joy to watch their story unfold. And now that Seeking Mansfield is out in the world, I can only hope readers will agree. Sixteen year-old Finley Price has perfected two things: how to direct a world-class production, and how to fly way, way under the radar. The only person who ever seems to notice Finley is her best friend and godparents’ son, Oliver Bertram. If she could just take Oliver’s constant encouragement to heart, she’d finally chase her dream of joining the prestigious Mansfield Theater. When teen movie stars Emma and Harlan Crawford move across the street from the Bertram’s, they immediately set their sights on Oliver and his vapid sister, Juliette, shaking up Finley and Oliver’s stable friendship. As Emma and Oliver grow closer, Harlan finds his attention shifting from Juliette to the quiet, enigmatic, and thoroughly unimpressed Finley. Out of boredom, Harlan decides to make her fall in love with him. Problem is, the harder he seeks to win her, the harder he falls for her. SEEKING MANSFIELD is a charming YA contemporary reimagining of Jane Austen’s classic Mansfield Park, perfect for fans of Stephanie Perkins and Rainbow Rowell. Kate Watson is a young adult writer, wife, mother of two, and the tenth of thirteen children. Originally from Canada, she attended college in the States and holds a BA in Philosophy from Brigham Young University. A lover of travel and experiencing new cultures, she has also lived in Israel, Brazil, and the American South. She now calls Arizona home. For several years, Kate worked as a senior director for a private university and was one of the faces of a national ad campaign for the university. Shortly following the birth of her first child, she chose to stay home full time and focus on her family and her writing. Seeking Mansfield is her first novel, with a companion novel to follow. She is also a contributor to Eric Smith’s Welcome Home adoption anthology coming fall 2017 from Flux. Kate Watson is offering two copies of Seeking Mansfield to her readers, the giveaway is international (ebook copies), but US residentes may choose the paperback format. The giveaway will be open until the 23rd, and to enter it, all you have to do is click here. I read A Fair Prospect trilogy in 2013 and it immediately became one of my favourite books. But the story is told throughout 3 volumes and I had to wait some months before the release of the next volumes to finish reading it. So in 2014 before my first trip to Bath I decided to re-read all volumes to have the pleasure of reading the entire story without any interruption. But once again I failed to write a review, so this year I decided to re-read this story for the third time and actually write my opinion about it. When I finished reading it this time I came to two conclusions: I will re-read it again and it continues to be one of my favourite books! But why do I love it so much? Because Cassandra Grafton created one of the most passionate, well written and developed stories I have ever read! Many of the scenes she created are still very present in my memory and I cannot think of many of them without getting goosebumps. A Fair Prospect begins at my favourite starting point for a JAFF variation: at the Hunsford proposal. This time the proposal occurs in the outdoors and just before a huge storm descends in Kent. Mr Darcy is the perfect gentleman and even if he is mortified and angry with Elizabeth’s refusal, he offers to take her home in his carriage, but when she is descending the carriage, something happens that will forever haunt her. After Mr. Darcy delivers his letter to Elizabeth, they are forced to dine together at Rosings, and during that night we see Mr. Darcy and Elizabeth having some of the most intense scenes I’ve ever seen. Their dialogue in Lady Catherine’s room is something I’ll never forget. The eagerness Elizabeth has to tell him how wrong she was, and the pain he feels for her rejection are impressive. I was pulled into the story with this scene and I could not leave it ever since. I love books that make me feel something and this one certainly achieved that goal. All the dialogues during that night are perfectly crafted, saying exactly what needs to be said, leaving what needs to be unsaid in the underlines, and having the beautiful power of being misconstrued by those hearing it. It takes a true talent and mastery of the english language to be able to do what Cassandra Grafton did in this scene. It is even hard to express how perfectly the dialogues were created. But what amazed me the most, was that this was not a one time occurrence, the entire book is perfectly crafted with little details coming into the story in the perfect time. Small incidents or words have major impacts in the story, and kept me turning page after page with a hunger for more that I don’t usually feel. While the action on the first book occurs in Kent, the second volume will take us to London where the story progresses with Elizabeth starting to realise what is truly in her heart. In this volume a new character appears and Darcy starts to believe he has some competition. I loved this part of the story as there is nothing better for me than a little jealousy in Darcy’s heart. As the story progresses Darcy tries to give Elizabeth the space he believes she needs, but again fate will not help, and they will spend much time together. Their encounters, even when filled with misunderstandings, start to give Darcy some hope, but that hope will be ripped from him with a force of a tornado. I could hear the little pieces of Darcy’s shattered heart at the end of volume two and I could only hope that volume three would bring him a worthy reward. With a broken heart Darcy removes himself to Bath, and it is in this romantic town the narrative in volume three will be developed. Once again we will see plenty of Darcy and Elizabeth but in this volume we will see both of them pining for the other. They are both in love with each other, and they both believe their love to be unrequited. I love this scenario and the angst, but when Darcy believes Elizabeth is telling him she loves someone else, my heart broke into a million pieces. How devastated he must have been? But fear not dear readers, the moment they come to understand each other’s feelings is equally intense, and so, so romantic!!! I think I held my breath and could only release it at the end of the scene! It was one of the best get together scenes I have ever read, and luckily for me it was extended through many, many pages 🙂 There are no words to express how beautiful and intense their love was in this story and the streets of Bath will always remind me of the desperate measures taken in this book. A Fair Prospect is an introspective book with a slow paced story but with an intensity that will keep readers glued to it. It is overly romantic, all scenes between Darcy and Elizabeth are electrifying, their dialogues are breathtaking and the sequence of events beautifully formulated. It remains one of my favourite books of all times and I highly recommend it to anyone who loves Darcy and Elizabeth! After reading and reviewing her first story, I wondered, who is Christie Capps? Her bio states this is a pen name for a best-selling author. I was curious and found out I wasn’t the only one who was intrigued as the question had been posed on Goodreads as well. So, who is she? I went into private detective mode and look what I discovered. Christie Capps is none other than Joy King, who writes as J Dawn King. Ah-Ha! Case solved. Joy, why did you choose to write in the same genre using a different identity? Primarily, I wanted the freedom to try something new for me in the world of JAFF. In the back of my mind, the desire to write comedy, dark drama, and contemporary was becoming almost overwhelming. I needed a channel to give expression to these stories. They were so unlike my J Dawn King tales that I figured I’d better put them under a different name. Why are you limiting your stories to 20,000 words? Great question, Rita. My life has become very busy, leaving me less and less time to read. As an older woman with no children at home who happens to work from home, I find I rarely can start and finish a book in one sitting. Talk about FRUSTRATING!!! How many JAFF readers are parents, students, and/or full-time workers? What is the common issue to them all? A lack of time. With that in mind, I wondered if I could provide a variety of complete stories ranging from 20,000 – 25,000 words for those busy readers. I had to give it a go. Thus, Mr. Darcy’s Bad Day was born and the tagline popped into my brain, “TIMELESS ROMANCE FOR THE BUSY READER”. Another reason was the challenge of writing a complete story within my self-set restraints. It’s much harder than I imagined. I love to embellish details and minor characters. I also enjoy writing mixed points-of-view. With these short stories, I am not allowing myself to do so. Should I give in, I would not meet my purpose in having a book that could be read in about an hour. Were there any other reasons you decided to write and publish short stories under an assumed name? Yes, Rita. I purchased pre-made covers which I’ve never done before. I wasn’t brand conscious when selecting them so they are a random mix of colors, subjects, and fonts. I had a ball choosing them from the catalogue and then sheer terror at trying to get the positioning of the fonts just right. It made me appreciate the skill of my regular designer, JD Smith – Designer. I’ll NEVER do this again without her help. In what formats will these short stories be available? All of them will be in eBook, paperback, and audiobook. The storyline permeating “For Pemberley” is dark. Do you feel you did it justice in this short story? When I put this online at a fanfic forum, I received over 350 comments and reviews in less than three weeks from readers who supported this story. I appreciated every single one. There is no doubt that events move right along. It must in this format. Elizabeth’s responses were taken from the experience of a close friend so I was confident in my approach. My objective was to have Darcy and Elizabeth forge an unbreakable bond, while keeping in character, in about an hour’s reading time. Several reviewers asked me to write a sequel where I address the future of minor characters. I’m going to leave this up to the reader’s imaginations, as it was not necessary to the story. Again, this is a training experience for me to discern when to self-edit extra baggage. It’s driving me nuts, but I’m enjoying the learning process and hope to be a better author because of it. What is in store for Christie Capps? Right now, I’m in the process of getting the print and audiobooks done for my latest short story, For Pemberley. I have two more stories planned. The next one is a contemporary (yes, my first) and my final story is set as a sequel to Pride and Prejudice (also a first). My plan is to lump them together with Mr. Darcy’s Bad Day and For Pemberley at the end of the year in a boxed set (tentatively entitled, “Oh, Mr. Darcy!”. I’ve attached the covers, Rita, should you like to look at them. They are not final. The titles may change. We shall see. I’m not planning on any more short stories after these four are complete. How did you choose your pen name? My husband has always liked the name Christie. I’m a huge fan of National Hot Rod Association (NHRA) drag racing and one of my favorite Funny Car drivers and last year’s national champion is Ron Capps. Not very brilliant, but it’s what I came up with at the time. Will you ever use another pen name? NEVER!!! It’s a royal pain to keep track of the different social media and email accounts. Plus, I forget to sign my name as Christie instead of Joy when I reply to messages. Would you share your best experience so far? Certainly. When I put Mr. Darcy’s Bad Day up for auditions for the audiobook production, Stevie Zimmerman sent in her sample. Out of 84 auditions, hers was my favorite. When I made her the offer of a contract I had to use my real name. Surprise! She was stunned. We had a good laugh afterwards. What is in store for J Dawn King? My next book, Friends & Enemies will launch sometime this summer. I am trying to coordinate having the audiobook ready at about the same time as the eBook and print. This is made more challenging since I approached Richard Armitage about narrating and producing this version. He has my manuscript and is reviewing it so I haven’t received a “no”—yet. If I end up setting aside my Bingley/Jane story, AGAIN, I have two epic tales outlined for Darcy and Elizabeth. With the amount of research I’ll need for each one, I doubt I will finish either before the summer of 2018. We shall see where the muse takes me. Are there any more surprises up your sleeves? Anything we should anticipate in the future? Nothing that I know of—for now. However, always at the back of my mind is trying to reach more and more readers by researching where they are buying and what it is they are looking for in the world of JAFF. Sometimes I can adapt, other times I cannot. Thank you very much for stopping by and for helping us know Christie Capps. I understand you come bearing gifts. I have a few presents your readers/followers might enjoy. First, I had one embroidered handkerchief with Mr. Darcy’s monogram left from my newsletter giveaway. It’s gorgeous. Third, I have a $100 Amazon gift card just waiting for a winner to by books and more books. To be eligible for these prizes you need to leave a comment below with your answer to the following question: Would you choose a long story or a short story as the next JAFF book you read? That’s it! Small print: The Amazon gift card will be adjusted to the exchange rate if the winner is outside the US. Winners have seven days to reply to the email notification. If they do not do so, for whatever reason (including the winning notification being dumped into their SPAM folder and they didn’t see it), another winner will be drawn. As always, my giveaways are available internationally. Thank you, Joy/Christie for your generosity!!! And of course, to see the Joy’s published books, click here. When I saw the cover of A Man With Faults I knew I had to read the book as soon as it got out, and when I saw the blurb I couldn’t believe my eyes! Lory Lilian, the Queen of Hot Mush, was going “angst” on this book! As a true angst addict, these were the best news I could have and it was with great expectation that I started reading it. It turned out to be the perfect balance between an angsty beginning and a passionate, loving romance in the end. The balance between the angst and the romance makes A Man With Faults a perfect book for every reader as it will please all tastes. In this variation Elizabeth refuses to read Mr. Darcy’s letter and without any reason to hope she will think better of him, or the pleasure of clearing out his name, he is a broken man. I also loved to see that Elizabeth didn’t need to read the letter to see Whickham for who he was. She is an intelligent lady who can see the signs in front of her. She just can’t see how much she loves Darcy and how much he loves her…But we wouldn’t have any love story if they figured it out immediately would we? As I said, I love to see Darcy get tortured, and Lory Lilian did an excellent job at that! She did it using the plot I love the most, but I only like to see him suffer if the reward he will have in the end makes it up for all the suffering, and once again, the author nailed it!! Elizabeth’s letter was pure perfection! I could feel Darcy’s joy while reading it and I could think of no better way to give him his much deserved happiness. In fact, we are given the opportunity to see the couple’s happiness in the end, so those who love some “Darcy/Elizabeth together time” will be pleased with the last chapters of the book. 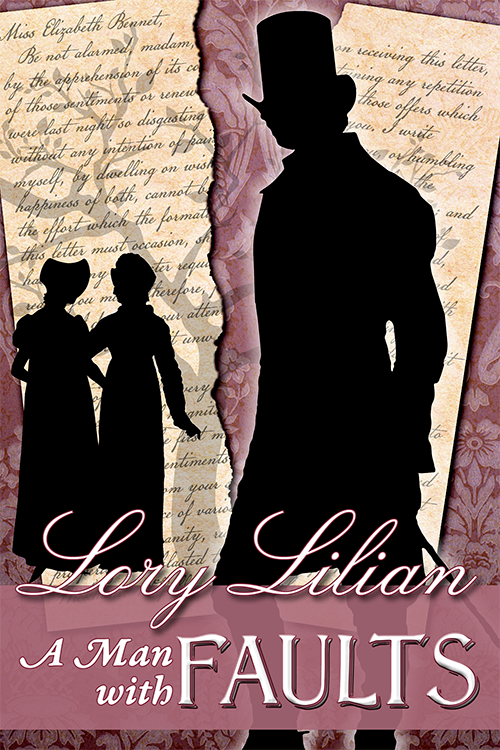 I’ve been talking about Darcy and Elizabeth because they are the main characters of the story, but as always Lory Lilian did an excellent job at developing secondary characters, not only already existing ones, such as Georgiana who plays an important role in this book, but also new characters like Darcy’s Aunt, Lady Hardwick, and Mr. Slade. As expected Lory Lilian delivered a powerful, intense romance that can not be missed by any JAFF reader. It gave me a tremendous pleasure to read this book and I highly recommend it. Last year when I read Melanie Rachel’s debut book Courage Rises I was very surprised with how much I loved it! Sequel’s are not my favourite type of book, but this one really made me want to read more and more. In fact, one of the things I mentioned in my review was that I needed to read more about Miss Sophia Hawkes and to learn more about her future. In Courage Requires Melanie Rachel answered my prayers as Sophia Hawkes is one of the central characters who will not only have an interesting story of her own, but also play an important role in the lives of Elizabeth, Georgiana and even Pembroke Fitzwilliam. We will finally learn more about this enigmatic character, understand her struggles and insecurities and accompany her much deserved romantic story. Courage Requires is a character driven book. It focuses mainly on human interactions and how life and the experiences people have lived may shape their personalities and their responses to situations and others. It shows us how different people may be from each other, why they are the way they are, and how we may misinterpret others based on our own experiences. It also reveals how an insignificant sentence or attitude may have unthinkable consequences, and how people must face the consequences of their actions, even if they didn’t mean any harm by them. The book doesn’t have as much action as the first volume, but it didn’t signify to me because I absolutely loved to read something more centered in character development. Despite being a regency book, it approaches many subjects in terms of human nature that we still see nowadays and I particularly enjoyed that. Courage Requires is the perfect ending for Courage Rises, it’s more mature, calm and it gives us the much anticipated closure. You can find Courage Rises and Courage Requires available on Amazon.com. The giveaway is open until the 14th of May and the winner will be announced shortly after that. Remembrance of the Past, Rainy Days, His Uncle’s Favorite, The Perfect Match, Sketching Mr. Darcy, The Rainbow Promise, A Man with Faults. Congratulations everyone! Please send me your contacts to ritaluzdeodato at gmail dot com, and if you won a winner’s choice prize, please let me know what is your choice. When I first heard about the Darcy Monologues I could not believe it! 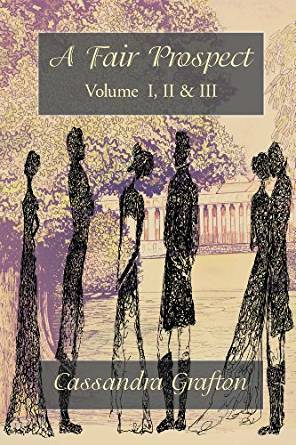 Christina Boyd was going to bring to life an anthology where fifteen Austen-inspired authors got together to sketch Darcy’s character through a series of re-imaginings, set in the Regency through contemporary times. The man himself would reveal his intimate thoughts, his passionate dreams, and his journey to love. The authors participating in this anthology would be Susan Adriani * Sara Angelini * J. Marie Croft * Karen M Cox * Jan Hahn * Jenetta James * Lory Lilian * KaraLynne Mackrory * Beau North * Ruth Phillips Oakland * Natalie Richards * Sophia Rose * Joana Starnes * Melanie Stanford * Caitlin Williams. The idea was absolutely wonderful and I immidiately wanted to read the book. I didn’t even need to know what the stories were about, all I needed to know was that most of my favourite authors would get together and write several stories from Darcy’s POV. All my excitement could have been forgotten considering how much time I still had to wait until the book came out, but it didn’t! And why not? Because Christina Boyd along with Beau North did an amazing job at promoting this book. I don’t know if many of you pay special attention to advertising but my major degree is in Media Studies, so I love everything about media communication, and the advertising for The Darcy Monologues was definitely something worth to remember. That is one of the reasons why I am so happy to be featuring on my blog one of the people who contributed to this, Beau North. Beau North restored my faith in Regencies. You see, I had tired of the usual JAFF Regency tropes: compromised brides, what-if variations, and interchangeable Darcies. They had all begun to blend, like chalked sidewalks in a spring shower, into a messy pastel of impertinence and pride. Then I stumbled across Beau North’s The Many Lives of Fitzwilliam Darcy. A Groundhog Day / Pride and Prejudice mashup? Yes, please! Beau’s unique premise hooked me like a hungry fish. Her prose – at time terse, at time poetic, and always lovely – kept me chomping on the bait long after I should have let go for sleep…or food…or a shower. When Darcy finds himself living the same no-good, awful, very bad day again, and again, and again, his gradual metamorphosis from angry to wounded to repentant is a journey rich with insight, discovery, and, sometimes, mischief. Her deftly drawn characters, including Colonel Fitzwilliam and cousin Anne, could have as easily existed in Regency England as in contemporary San Francisco. When I learned that Beau and I would be contributing to the same anthology, I was equal parts elated and terrified. I was star struck. I eagerly read You Don’t Know Me, and was not disappointed. You won’t be, either. Beau North is the author of Longbourn’s Songbird, The Many Lives of Fitzwilliam Darcy, and a contributor to the anthology Then Comes Winter. Beau is a native southerner who now calls Portland, Oregon home with her husband and two cats. She attended the University of South Carolina where she began a lifelong obsession with literature. In her spare time, Beau is the co-host of the podcast Excessively Diverted: Modern Austen Onscreen and today she answers a couple of questions about herself and her story You Don’t Know Me. As a writer who has contributed a contemporary story to this collection, can you describe for us why you believe Austen’s stories still speak to modern-day readers? Because she wrote about the inner lives of people, their hopes and fears, their dreams and wishes, their secret longings. Those things never go away. Priorities shift over time, true, but we still yearn for things like companionship, love, safety, kindness, hope, and laughter. Your story, You Don’t Know Me, and Jane Austen, what do you think makes them work together? What do they have to say to each other? If there are “morals” to Austen’s stories, it’s that personal growth is vital to one’s happiness -or “know thyself” as the saying goes. It’s imperative to me in any story I write that there is some measure of self-discovery, of characters (especially a larger-than-life character like Mr. Darcy) begins to think differently about the world they live in, eventually turning that observation inward. It’s such a universal theme. Now, as far as what my story might have to to say to hers…well, anytime you’re updating a story like Pride and Prejudice to a more modern time, there are opportunities to explore the social stratas at that time. It’s not so easy to divide people by class nowadays, so you have to look at other methods. Demographics, religions, which Hogwarts house you got sorted into. Whoops, wrong fandom! Seeing how strong she comes through on the page. Her sly wit, her winking observations on the lives of women. 200 years later and she’s still so strong, so funny, and more relevant than ever. I really do love how he’s always tall, I have a weakness for tall people personally. A dash of cocky arrogance and a wry sense of humor were must-haves. I found Mr. Darcy to be quite funny more than once in Pride and Prejudice, so it made sense to me that he and Elizabeth would have that in common. I also wanted him to have a sense of ennui that comes from his party-boy lifestyle and a profound loneliness that he only recognizes when he begins spending more time with Eliza. Pair all that with a generous heart and yeah, we’ve made the perfect man. Can you give us a six-word memoir about yourself? My next project, a novella titled Modern Love, will hopefully be published by this summer. And of course all of my books, podcast, and social media can be found at http://beaunorthwrites.com. Last month I was attending a management training session and the trainer was telling us that when managing people we need to pay special attention to our reactions towards others. What he meant to say was that if we start the day with a bad attitude, that attitude will be reflected in our behaviour towards others and obviously in their response towards us. So he asked us to always start the day with a positive perspective and shared a technique that his company calls playing from a 10. Playing from a 10 means that even if you’re having a really bad day, you should take a break and do something that will make you start your day from a 10 (in terms of positivism) instead of a 1 (negativism). For the trainer, the trick is to listen to some specific music, but he advised us to look for our own trigger, something that would make us play from a 10. And right there in the training session, while I heard him speak, I knew that my trigger to play from a 10 would be The Darcy Monologues! This anthology has everything! It has regency, modernizations, different eras, comedy, drama, romance…and all that from Darcy’s POV. They are short stories that can easily be read before getting in the office, so whenever I’m starting the day at a 1, because I didn’t sleep or I got stuck in traffic for one hour, etc, I can always take a break, read one of them, and be ready to start my day playing from a 10! 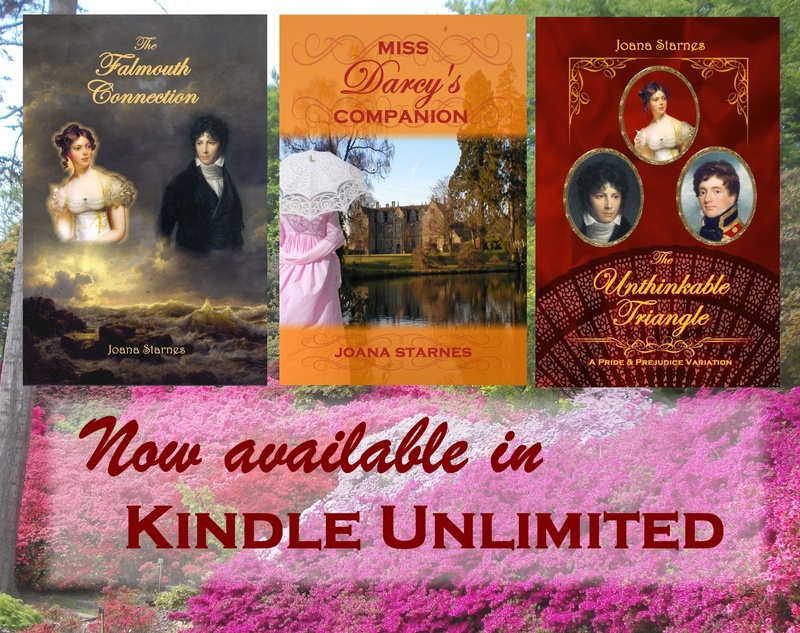 I absolutely loved The Darcy Monologues, each story is special in its own way, and that is why I thought that it would be more enlightening to you if I wrote a little of each story. This story will follow Darcy’s last days as a bachelor until his wedding night. We will see how Darcy deals with all the changes in his life, the constant presence of Elizabeth’s relations and not controlling all aspects of life. 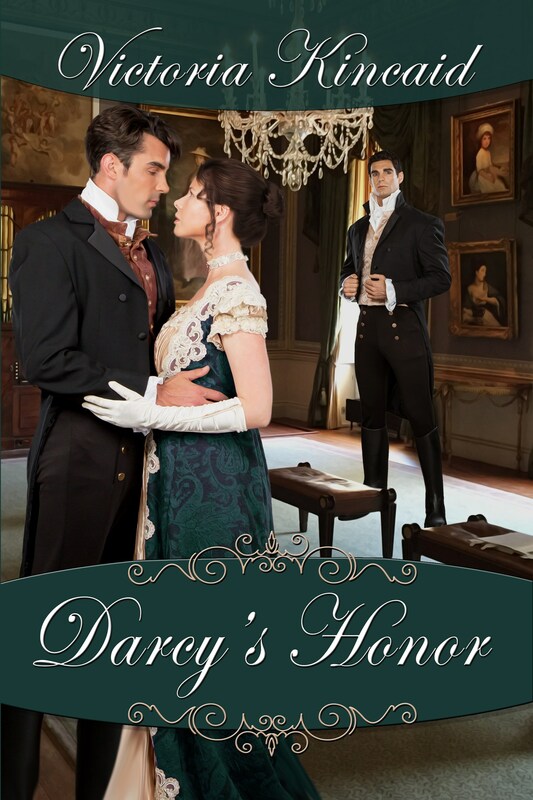 I loved the tone Caitlin Williams chose for this story; we will read about a struggling Darcy, which was a raw but true perspective of the character. I could not have picked a better story to start the anthology. What I loved the most about it: The incredibly prodigious writing style! Oh My God…Caitlin Williams is a natural talent! Everyone knows how perfect Mr. Darcy’s letter was. It was written with some bitterness and it is a little harsh in some parts, but it was truthful, passionate and revealing of his true character. But have you ever wondered if that was the first draft he wrote? Did he review it? Did he change anything? And what happened during that night? Marie Croft describes the night when Mr. Darcy wrote Elizabeth’s letter…and I bet you would never imagine anything like this! What if during the Netherfield Ball Mr. Darcy and Elizabeth Bennet found themselves trapped in a room with a secret passage? Could they have an open discussion about their feelings? Could they reach an understanding in one night? If anyone can make that happen it is Karalynee Mackrory! What I loved the most about it: The coziness feeling that reminded me so much of Haunting Mr. Darcy. It was dreamy, romantic and breath-taking. In Melanie Standford’s story Pride & Prejudice meets The Beauty & the Beast and transports us to a magical setting with a coursed and disfigured Darcy who manages to bring the beautiful Elizabeth Bennet into his home. The story follows the narrative of The Beauty & the Beast but continues very truthful to P&P’s characters. What I loved the most about it: The ending! I loved it that the author made sure the ending showed us a real life love instead of a Disney perfect ending. It may appear a small detail, but in my opinion this added a big value to the story. What I loved the most about it: How Elizabeth subtly made her feelings known, and the touch of their hands… Their encounter was utterly romantic and obviously up to the standards we expect from Lory Lilian! What I loved the most about it: The way the author played with the scenes and wording in Lady Catherine’s confrontation scenes, and how she changed it to fit Darcy’s discourse. What I loved the most about it: The intensity of Darcy’s feelings allied with the grey cloud that involved the story. Also, the way Elizabeth sets Darcy straight. Jan Hahn knows how to get to my heart!!! The first modernization of the anthology transports us into a high school where Elizabeth is an art teacher and Darcy is the principal. But Wickham and Collins are also present and even Mrs. Bennet has a small appearance. Needless to say I loved the setting…who wouldn’t want Darcy as a teacher? In this story magnate William Darcy is forced to leave his city condo to move to Buffalo and run his family’s radio station. This is where he will meet Bingley, Jane and disc jockey Eliza Bennet, or should I say Elizabeth Benowitz? What I loved the most about it: Darcy’s proposal, well, it’s not really a proposal, but it is one of the best love declarations ever! Also, Lady C…she almost took Darcy’s declaration of the podium, but I could never let her win could I? Pemberley by Stage will take us to the Wild Wild West where Mr. Darcy’s stage is assaulted by the known bandit Wickham! Bingley is severely injured and Georgiana is kidnapped, but Darcy will not be alone in the quest to save his sister, he will have the assistance of Elias Bennet who soon reveals to be a very different person than Darcy initially thought. In this modernization Darcy is a well-known baseball player and the last man in the world with whom reporter Elizabeth Bennet will go out with. This story will actually follow a similar premise to P&P but with small nuances that made it unique, interesting and compelling. Elizabeth goes out on a date with Mr. Collins and soon realises the only way she will make it through the night is by drinking alcohol, lots of it… But not even that prevented her from getting horrified by the prick in front of her, so when the most ridiculous man on earth becomes truly insupportable, she tells him to stick his tongue up a certain place and leaves him standing. With that she looses his ride home, but guess who will come to her rescue? Mr. William Darcy was named after the fictional character Jane Austen developed 200 years ago and that has upset him his entire life. So when he sees several people dressed up for a Jane Austen convention he is not afraid of voicing out his opinion to his friend…but the witty, intriguing girl standing nearby happens to hear is remark and is also unafraid to tell him he is completely wrong. Of course this is just the beginning, and as the story progresses we will have the pleasure of seeing Mr. William Darcy reading and liking Pride and Prejudice! The Darcy Monologues is the book every Janeite has been waiting for. It is the perfect anthology for anyone in love with Mr. Fitzwilliam Darcy and I don’t think anyone will be able to resist it. The Darcy Monologues is an extraordinary piece of literature written by a very talented group of authors and edited by someone who knows exactly what the readers are looking for. One winner will win our grand prize of 24 paperback books, each one autographed by the author, and mailed to the winner’s home. All giveaways are international and to enter it, you just need to click here.